Welcome to the 1st edition of the Bluejay Briefing! Approximately 25 middle school students attended the Governor’s Condition of State speech at the State Capitol on Tuesday, January 10th. 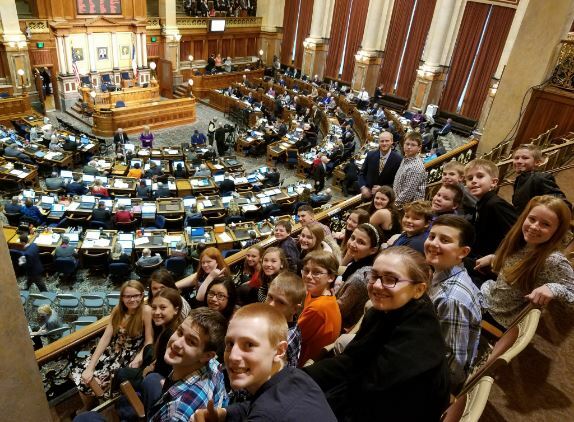 Students had the opportunity to see our government in action with a bird's eye view from the upper deck and even received a special shout out during Governor Branstad's speech. BFMS was later recognized in a Des Moines Register article regarding the speech for pioneering lessons in technology and computer science. As the calendar turns to 2017, the district is preparing for next school year's registration. We are working to implement an online registration system that gives parents a more user friendly registration experience. With that being said, we highly encourage parents to make sure you have access to the Infinite Campus Parent Portal. We recommend one account per household. With access to the portal, you are able to view student grades, attendance, pay for fees/lunches, as well as register your student for next school year. Additional details regarding the online registration process will be released at a later date. If you already have an Infinite Campus Parent Portal, there is no further action needed at this time. If you don't have an account set up or you are unsure if you do, please contact your building secretary for login information. *If you have students in multiple buildings, contact the secretary at your eldest child’s school. 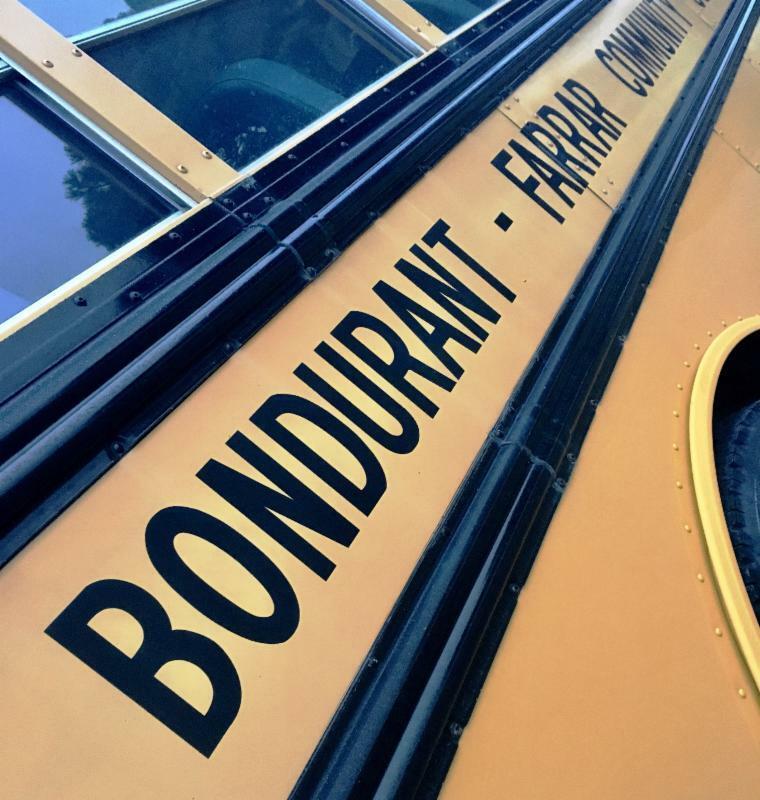 The U.S. Environmental Protection Agency (EPA) recently awarded the BF transportation department with $70,000 as part of the 2 016 School Bus Rebate Program. In efforts to reduce air pollution, the transportation department will remove three of the oldest buses in the fleet and use the awarded rebates from EPA's Diesel Emissions Reduction Act (DERA) to replace the outdated buses. 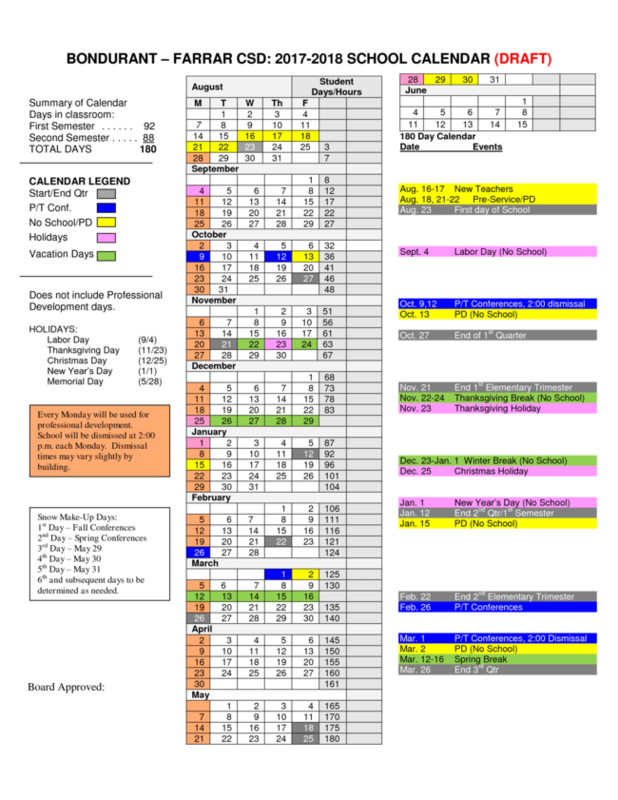 The district will be holding a public hearing to allow for comments on the proposed 2016-17 school calendar at the January 23, 2017 board meeting. August 23rd falls on a Wednesday, not a Tuesday. This will still be our official start day with students. School will resume from winter break on January 2nd, a Tuesday (instead of January 3rd as was the case in the current year). Attendance at the meeting is not necessary. Please direct comments and questions to Chad Carlson, Director of Administrative Services, by email or phone at or 515-967-7819. Responses must be received by Friday, January 20th. Click here to view the draft calendar. Up to nine educational measures are compiled to assign an overall rating to each school based on its performance measures. Board Supports IASB's "Promise IA"
At their January 9th meeting, the Board of Directors of the Bondurant-Farrar Community School District passed a resolution in support of “The Promise of Iowa.” The goal of the statewide campaign is to focus attention on the future of Iowa public school students and to rally support for public education in Iowa. Another goal is to encourage Iowans to show their support for the investments needed to keep our public schools strong. 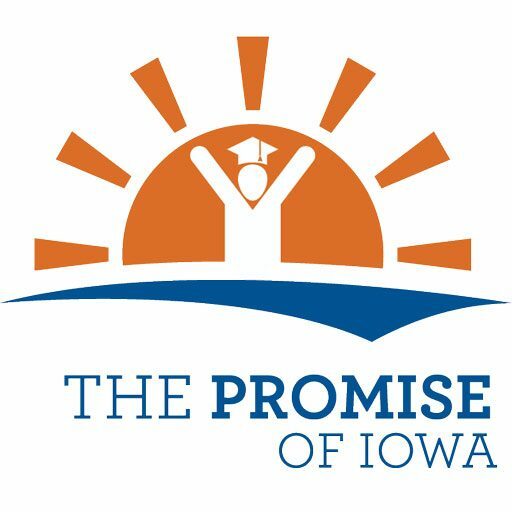 Click here for more about "The Promise of Iowa."